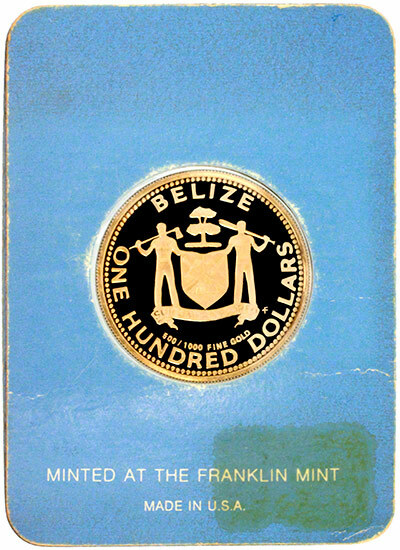 Belize was the site of several Mayan city states until their decline at the end of the first millennium A.D. 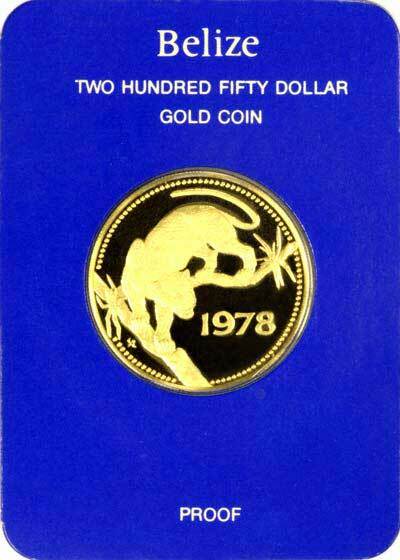 The British and Spanish disputed the region in the 17th and 18th centuries; it formally became the colony of British Honduras in 1854. 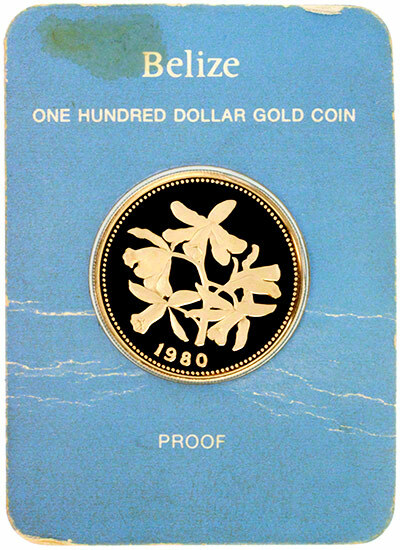 Territorial disputes between the UK and Guatemala delayed the independence of Belize until 1981. 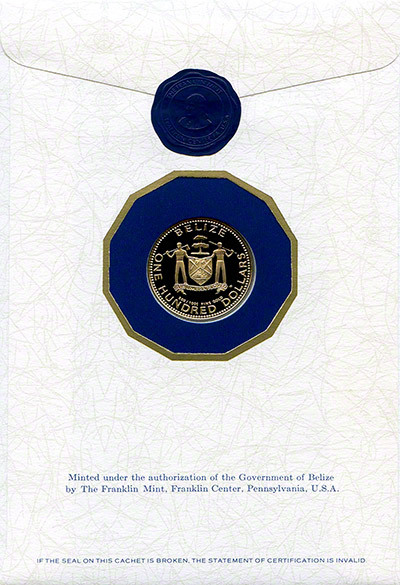 Guatemala refused to recognize the new nation until 1992. Tourism has become the mainstay of the economy. Current concerns include high unemployment, growing involvement in the South American drug trade, and increasing urban crime. 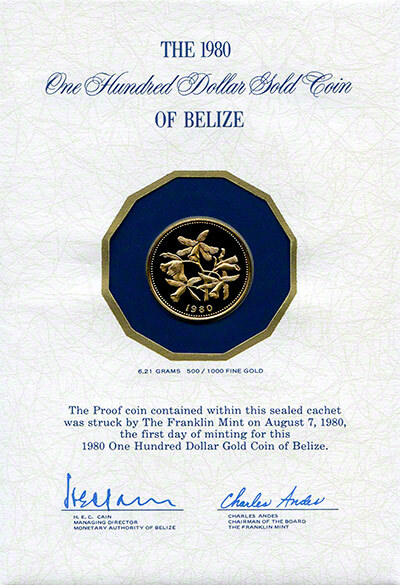 Please see our separate page for gold proof sets from Belize. 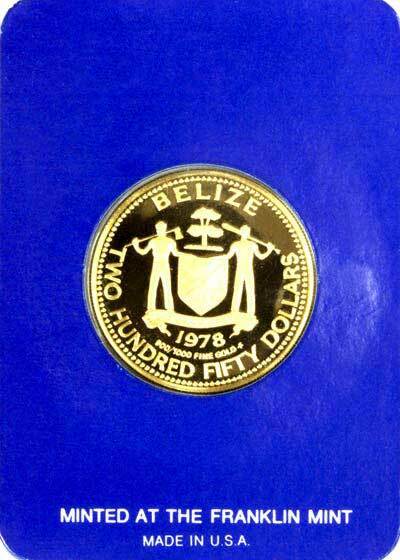 For Belize coins in silver or base metal, or Belize coin sets other than gold, please look at the Belize Coins page of our original website.